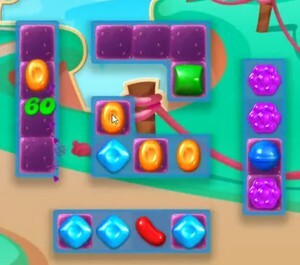 Although Candy Crush Jelly Level 1 is not a daunting level, using special candies is also significant. To achieve the set objectives, you just have to match at least three candies from a position that the jelly will be impacted. However, the impact of using special candies is more significant and will move you closer to Candy Crush Jelly Level 1 completion in a remarkably short time. To make special candies, you just need to match at least four candies of the same color either in a T shape, L shape, vertically or horizontally. If possible, combine the special candies to maximize on their effects. The most effective combination to help you complete Candy Crush Jelly Level 1 is a color bomb with either a striped or wrapped candy.